Disclosure: I was sent 2 mugs complimentary of Moscow Muled in exchange for a review without any other compensation. As always all thoughts and opinions are my own. 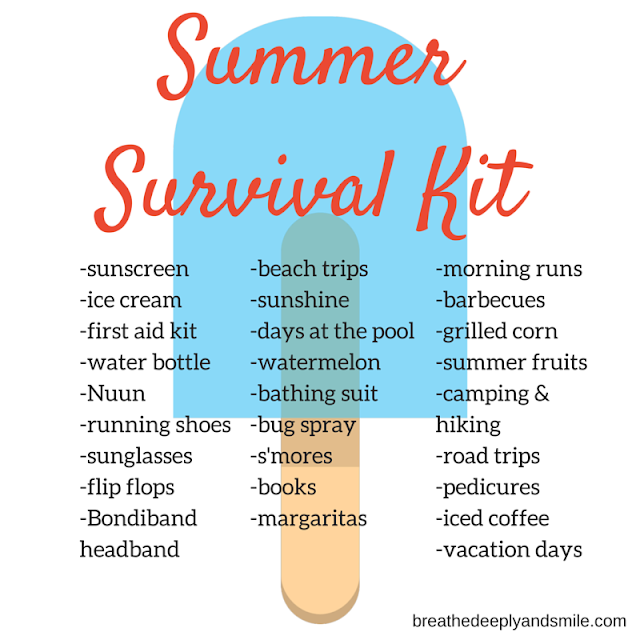 Summertime for me is sunshine, hanging out on someones rooftop deck or patio, my toes in the sand, ice cream on a hot day, sweaty runs, and a cold drink in my hand. Between Moscow Mules and Palomas, I am set for summer. 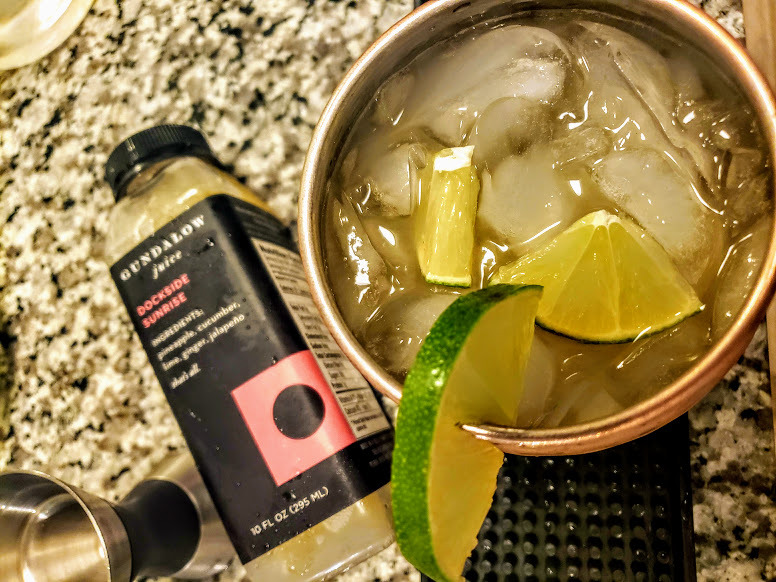 Moscow Mules are the perfect summer drink with refreshing ginger beer and lime juice, and my boyfriend makes them all the time. I even drink them with a little club soda instead of vodka for a delicious mocktail version. 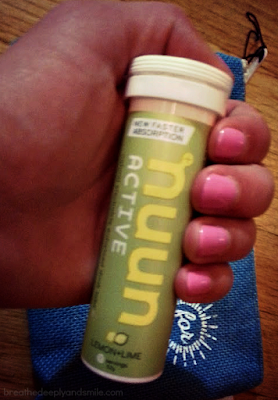 You can even make a hydrating Moscow mule version with Nuun Hydration! The one thing missing from my summer cocktails was a fancy copper mug set. 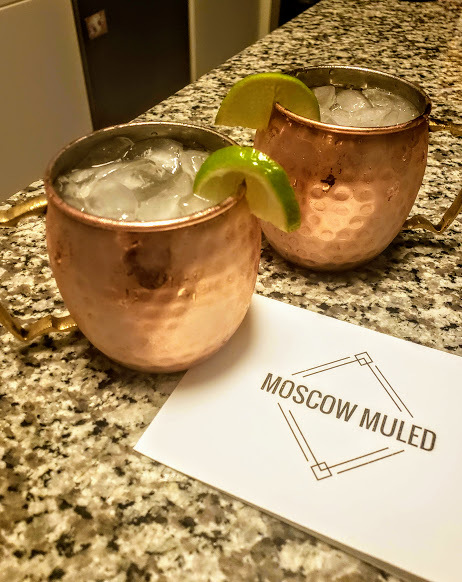 That's why I was really excited when Jessica from Moscow Muled reached out about trying out their copper mugs. Besides being a fan a of cocktails, I am a fan of small businesses and especially ones involving ladies! Jessica and her partner couldn't find any high-quality nickel-lined copper mugs that they liked so they made their own as part of a side passion project. These beautiful 16 ounce copper mugs (which retail for $12.50 each) are made of 100% pure high-grade and food-safe copper and are lined with nickel. 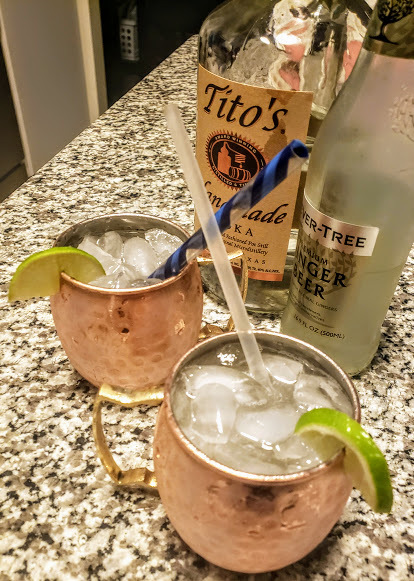 This provides important health and functional benefits because copper is a heavy metal that can react with acidic fluids (such as citrus juices such as lime juice in a Moscow Mule) and can cause copper to leach into the the drink. This is sometime I never would have thought about when buying my own mugs! The nickel lining not only prevents unintentional copper ingestion, but also increases the strength and durability of the mug because copper is a soft metal than can be damaged with repeated use. 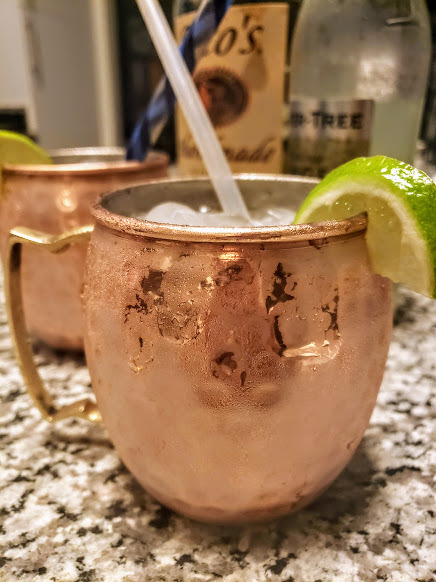 Copper mugs are traditional for mules and similar cocktails in bars which not only look nice but also actually keep drinks cold because the copper transfers for the temperature of the drink to the mug itself. I don't really have time for cleaning, but these mugs are easy to clean by just gently hand-washing and drying right away. Like any copper, these mugs will develop a patina over time, but Moscow Muled also includes directions for keeping their mugs shiny and removing any patina, if that is what you prefer. 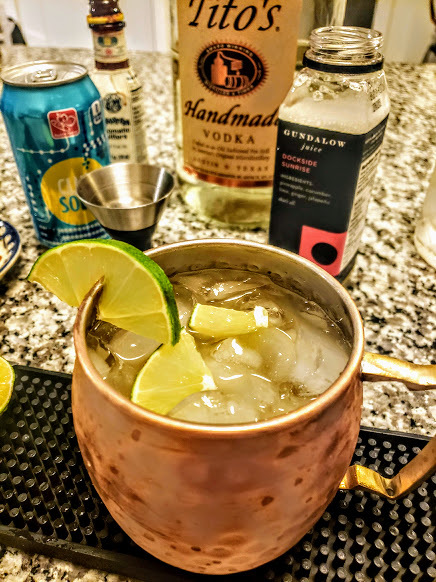 As I mentioned previously, I love a cold Moscow Mule on a summer afternoon or evening. 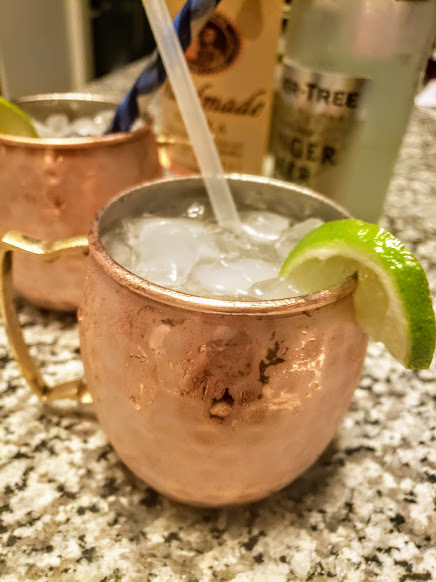 Here is a classic Moscow Mule recipe that came with the copper mugs that I tested out. 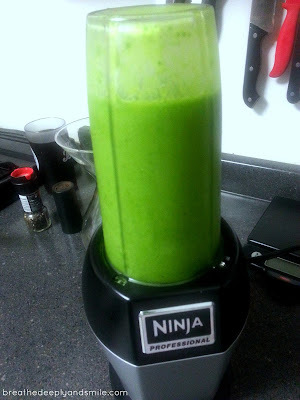 It's easy and delicious to make! Of course I was excited to come up with my own copper mug cocktail. I wanted to keep it refreshing so I decided to make a version of a mule with one of my favorite juices from Gundalow Juice. 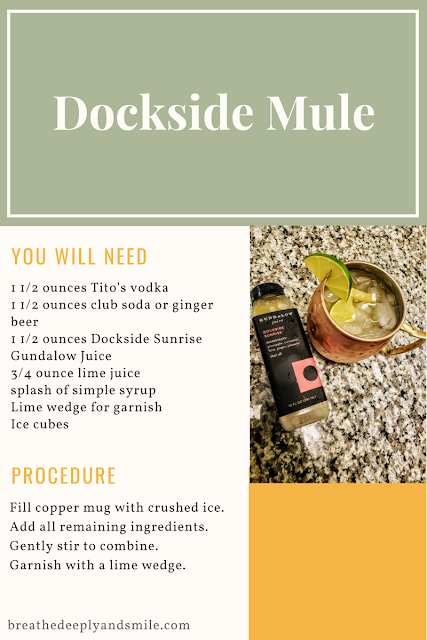 Their Dockside Sunrise juice is a blend of juices including pineapple, ginger, and even a touch of jalapeno which gives this drink some tartness and a little kick! I also happen to be a fan of Tito's vodka but you can substitute whatever your vodka of choice is. If you do not have any Dockside Sunrise on hand using regular pineapple juice with the ginger beer instead of club soda would be a close match. I think I know what my new drink of choice will be as the summer winds down! 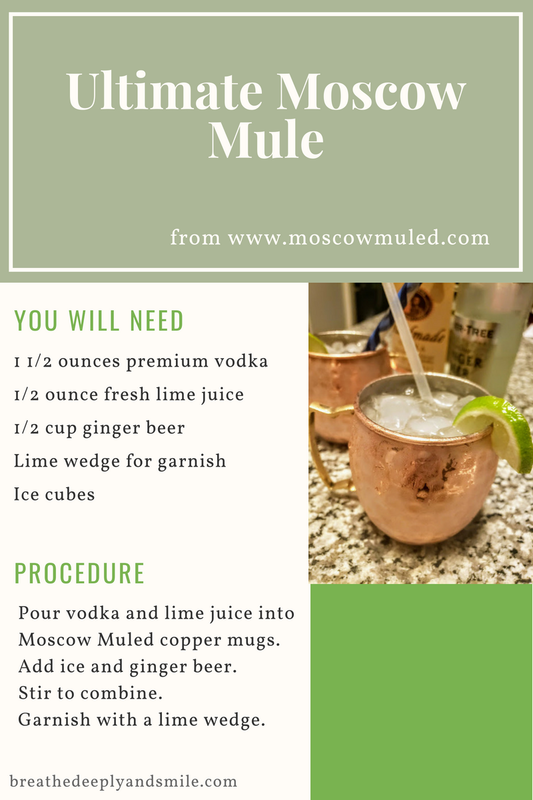 Moscow Muled can be found on Instagram, Facebook, Pinterest, and Twitter @moscowmuled. More information on their copper mugs and ordering information is available on their website. What is your favorite summertime cocktail or mocktail? It's Friday and I'm here with some favorites from the past few weeks. It's been a hectic and humid week for me so I'm looking forward to a fun and sunny weekend. A.K.A my second time seeing the QUEEN. I'm a HUGEEEE Beyonce fan so if you don't like her just skip this paragraph. Yes, I'm the girl blasting Lemonade in her car and singing along. I could go on and on about this concert I went to a few weeks ago in Philly, but I'll just say it's literally a magical experience and in a completely different way from her last tour with Jay-Z. She puts on an amazing show-even people who aren't huge fans or don't know a ton of her non-radio hits have said so to me! 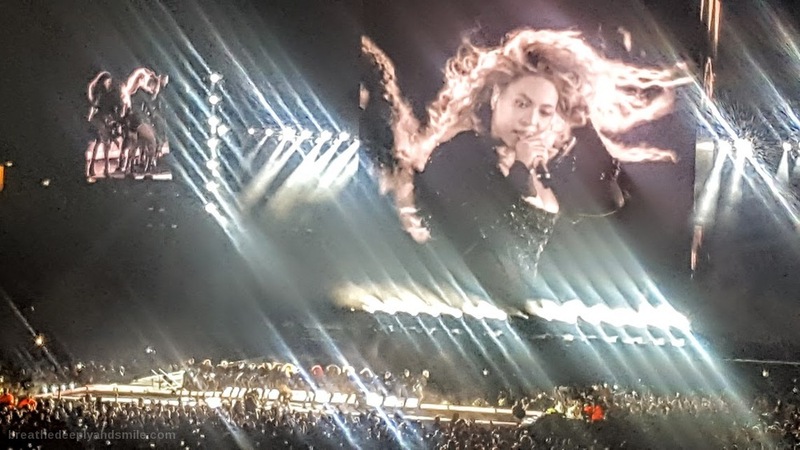 Bey was sure to keep the message about self-love and how the most important relationship is the one with yourself and how you can do anything #PREACH. I mean that's a message all ladies can get behind. I also want a wind machine following me and an acceptable place to wear a sparkly leotard and high heels, kthanks. 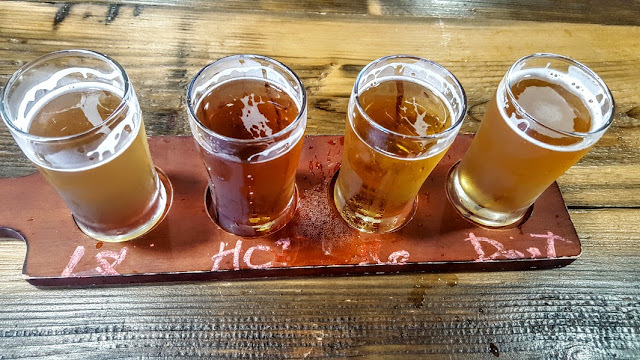 I got to enjoy a nice little beer flight at Flying Fish Brewing Co. with my family last weekend. Anytime I go to a new brewery I also get a beer flight. Sometimes when I can't decide what I want I get one too. I also love it because some beers are interesting for a little taste, but I don't want a full pint of it. Sometimes you just want a little bit of everything. Or if you are me, you always do. What's wrong with wanting it? Okay so I don't like the humidity or being completely drenched after runs (#sweatyAF), but now that I'm in my first week of marathon training I do enjoy some of the routine of a long run and the peace that comes afterwards. Plus feeling like a badass for crushing many miles. Another pro is that I spend at least 4 miles of the run thinking about what I want to treat myself to for breakfast afterwards. Long run days go wake up, run, eat, shower, eat, nap, then restoftheday. Tons of sweaty laundry and trying to remove a soaking wet sports bra are definite summer long run cons. A.k.a. the motherload of KIND bars. 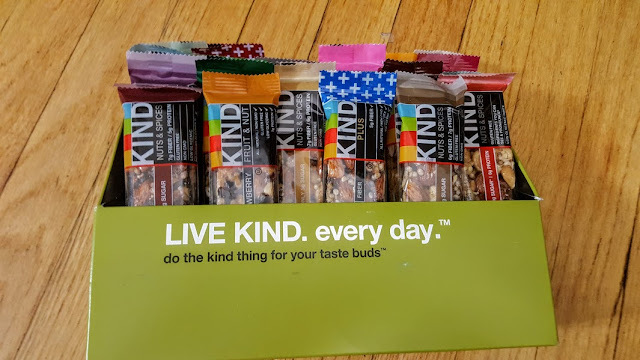 I was nice enough to have been sent this complimentary 30-pack of KIND Snacks bars which includes some new flavors such as Dark Chocolate Almond Coconut & Raspberry Cashew Chia (YUM!) and all my old favorites including Dark Chocolate Almond Sea Salt. I've always been a fan of variety packs becaus I like choices and a little bit of everything (see: beer flights) . Let's just say between my boyfriend and I, this pack did not last long in our apartment. 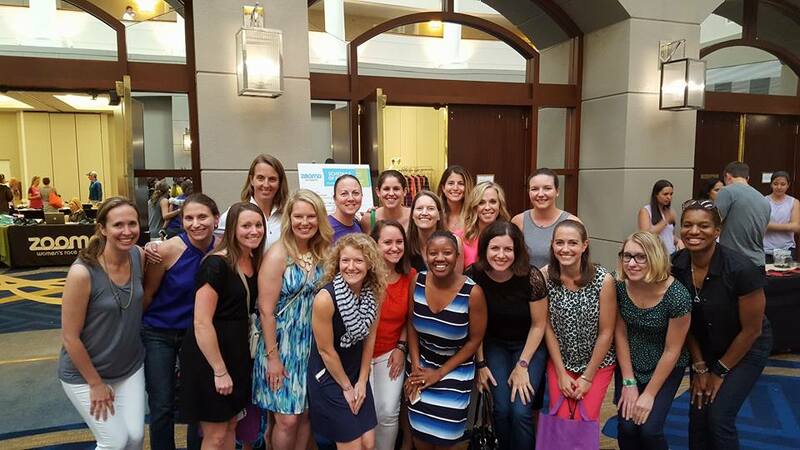 Back on my Feet is an awesome organization that restores hope and independence through running in over 11 cities (including a chapter in Baltimore!) and has helped more than 4000 individuals find employment and housing. With half a million homeless people in the US, that's awesome. 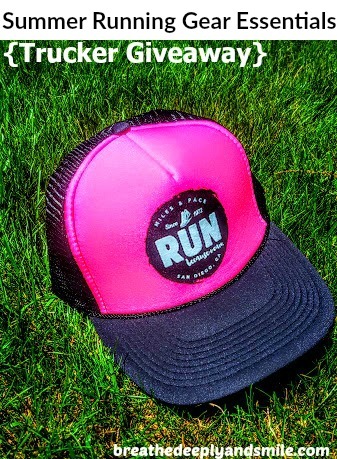 Go here and sign their American Runs pledge to help end homelessness. For each pledge BoMF receives $1, and you are entered to win a free year of Dunkin Donuts. 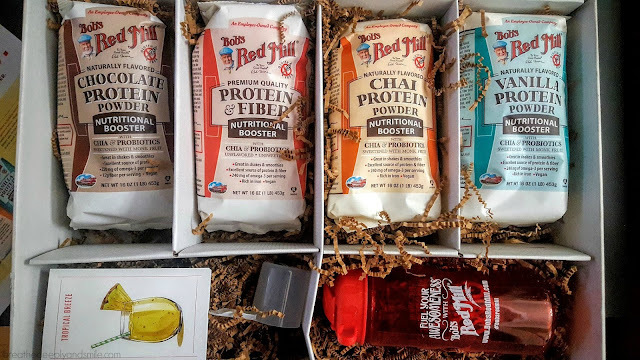 You know I love me some DD coffee so that's a sweet bonus for helping out a great cause! This post was linked up with my fave Friday Linkup ladies Courtney, Mar, and Cynthia as well as Nicole, and Jill. 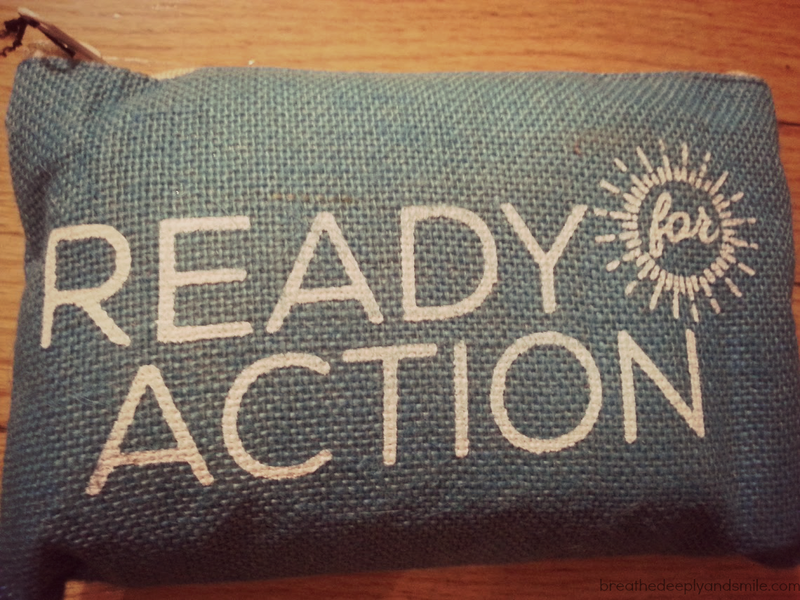 What is one of your favorite workouts, snacks, charities lately? 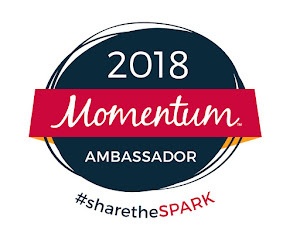 Disclosure: I am a 2016 ZOOMA Women's Race Series ambassador and received complimentary registration for this event. As always, all thoughts & opinions are my own. 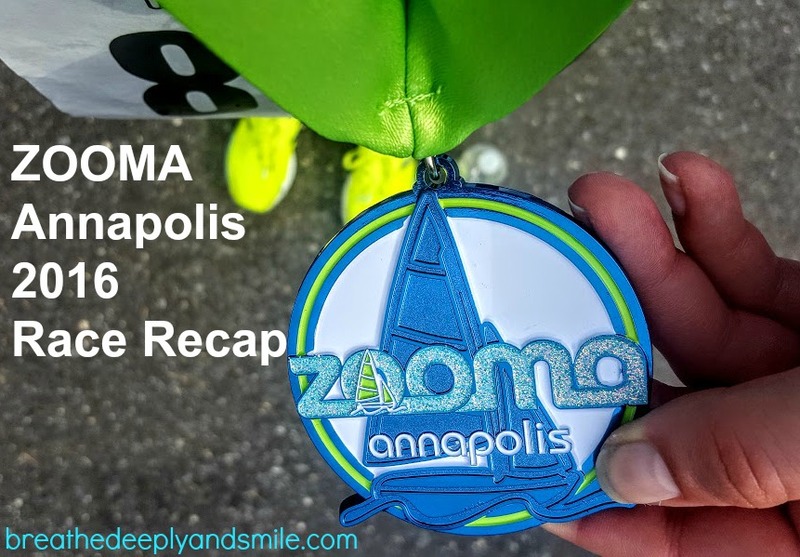 In my 2015 ZOOMA Annapolis race recap I described my race experience as hot, humid, and hilly. Those rang true again this year! Although I said I would not be running the half marathon again and would do the 10K, I found myself running the half marathon again, whoops. Despite the conditions this time of year, ZOOMA always puts on a nice race weekend for women in Annapolis. 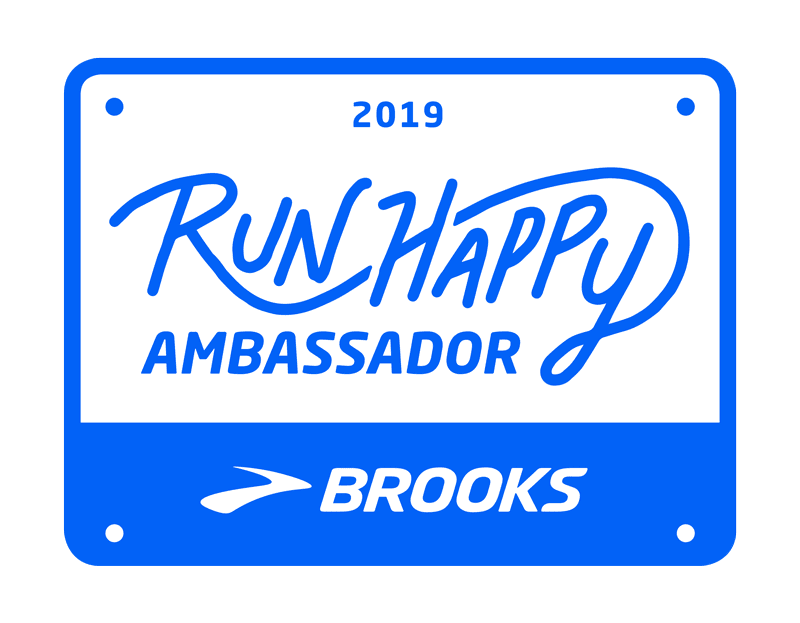 This year in addition to a half marathon and 10K, a 5K race was added. Friday evening after sitting in terrible traffic from Baltimore to Annapolis after work, I finally made it down to the ZOOMA Annapolis race expo at the beautiful Loews Hotel in downtown Annapolis. The expo is really small, but there was some nice women's running vendors and packet pickup looked easy (I grabbed my bib the night before in Baltimore). I grabbed dinner and a drink with many of the ZOOMA ambassadors, most of whom I've met before or were ZOOMA ambassadors with me last year. It was fun to see everyone and especially those people whom I've never met in person or those who I interact more with online through social media. Those running the 10K and 5K got to have a few more drinks and a little bit more fun, which also made me regret signing up for the half! I finally had the chance to meet Cori (She's Going the Distance) who was nice enough to let me share her hotel room after realizing a couple weeks prior that I had not booked anything and didn't feel like driving down 2 days in a row or the morning of. I think we're similar so we vibe together pretty well, and I was happy to meet her after lots of social media interactions. Another Friday already is always a great thing! 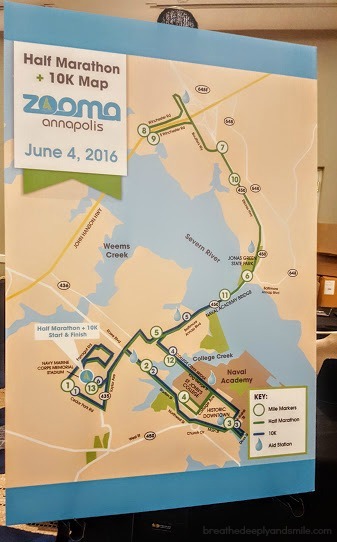 I've got a jam-packed weekend that is getting kicked off with pre-race ZOOMA Annapolis festivities. 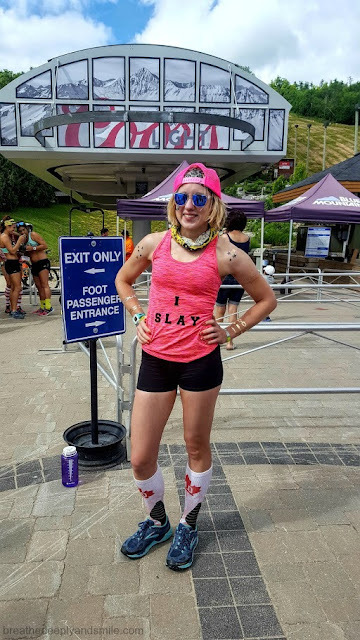 If you're running ZOOMA this weekend, say hi if you see me! This week hit us with that hot and humid weather. I love summer (minus the humidity) and LOVE running in shorts again. I just be sure to take my allergy mediciation, lather up the sunscreen, and I'm good to go! One of the great parts about being in the city is all of the free events always happening. 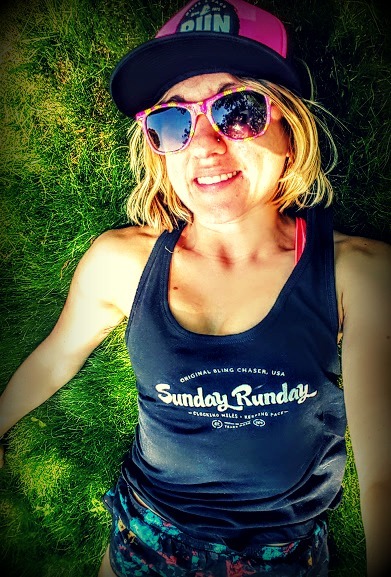 Here are some of my favorite FREE summer fitness outdoor offerings you should check out. 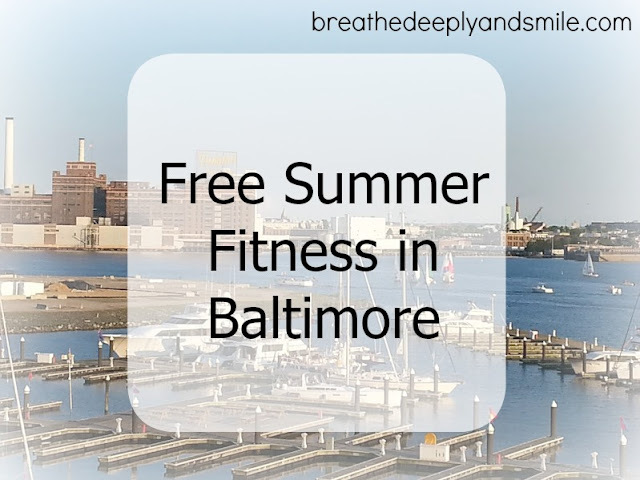 Waterfront Wellness through the Waterfront Partnership of Baltimore offers free fitness classes taught by local professional instructors all summer around the Inner Harbor with a beautiful backdrop. I LOVE Waterfront Wellness in the summer although usually marathon training gets in the way of me going. They added some weeknight classes this week which is awesome! Classes are on Tuesdays, Wednesdays, Saturdays, and Sundays from May 28 through September 18th and include barre, yoga, bootcamp, body sculpt, Dance2Fitness. There is also a fun incentive program with prizes sponsored by Medifast. Definitely check out a class and take this chance to try out something new! You can get more information and the full schedule here. On Saturday, June 25th, 2016 will be the 4th annual Fit+ Festival in Harbor East on Aliceanna Street from 9 AM- 1PM. There will be free fitness classes from Under Armour, Lululemon, and The MAC as well as healthy food offerings, music, a photo booth, and giveaways. The fitness classes including a run, yoga, bootcamp, boxing, and more! The event is free and includes free parking, but you have to RSVP here on the website. I love any chance I get to workout out on the water at the awesome Under Armour Headquarters in Baltimore overlooking the harbor. You can celebrate the Summer Solstice with a free 1-hour Soul Body Barre class with the creators. If you've never tried barre, this is a great chance! The class is free and open to the public but there is only a maximum of 50 spots so sign up here. There are some more details here. Update: Yikes, someone just let me know the class is already full! All the classes at the UAPC including Soul Body Barre are only $8 drop ins as well if you want to take a class there! I also know that there is free summer solstice yoga at 8 AM on 6/19 at the American Visionary Art Museum for free-details here. I had to include it! It's free all summer. And completely free every other Wednesday and Friday during the year-never cancelled. Come out for some extra sweaty hugs and fun running & body weight workouts 6:30 AM on Wednesdays at Rash Field right in front of Federal Hill on the water and 6:30 AM on Fridays at Patterson Park (corner of Linwood & East Baltimore).If you have no idea what I'm talking about, read why I think this free fitness movement and the Baltimore tribe is awesome. There is a TON of free yoga everywhere. Here are a just a few of the offerings around the city this summer. In Mount Vernon at Mount Vernon Park-East Square you can do outdoor yoga every Saturday from 8:30-9:45 through September 24th. 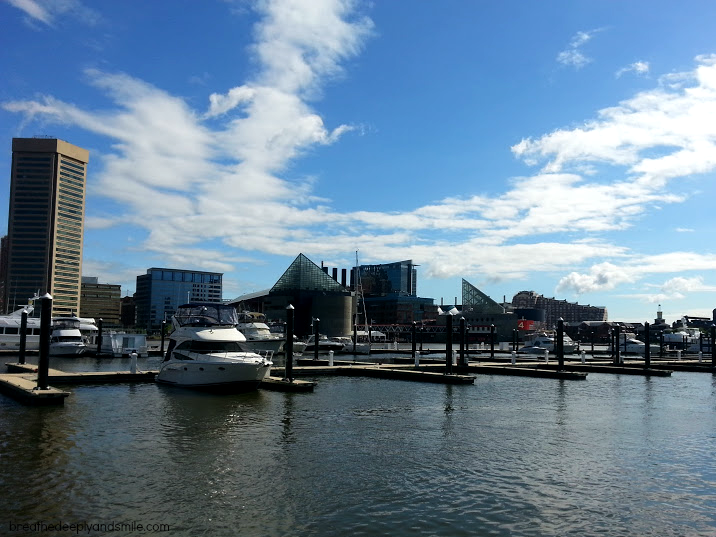 In Canton there will be Pop Up Yoga Baltimore all-levels yoga classes at the Canton Waterfront starting June 5th and continuing on every Saturday from 9:30-10:30 AM. More details here. Free Baltimore Yoga is all-year round including summer-I love it! You can check them out Tuesdays at 6 PM at Patterson Park and Thursdays at 6:30 PM at Parks & People. More information can be found on their website. BONUS: This isn't a free workout, but if you want to try paddle boarding you should totally take a FloYo class this summer. FloYo is a full body workout class done on the standup paddle board that incorporates lots of yoga sequences. I took one a couple summers ago, and it was also the first time I had ever been paddle boarding-it was a blast! I am definitely going to make it a point to get out for a class this summer, especially since there is a location right in Baltimore in Dundalk. Check out their schedule and more information here. 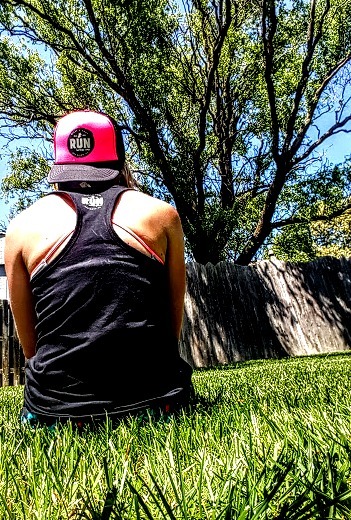 What is your favorite summer workout? Do you like outdoor fitness classes? Disclosure: I was offered a giftcard & complimentary Ready for Action bag for mentioning this promotion by Whole Foods Market Harbor East. As always all thoughts and opinions are my own. I really love samples and trial sizes. No I don't want to spend X number of dollars on a product that I've never tried before. What if I don't like it?! That's why I love places like Sephora and all those box subscriptions out there. I will take free samples anywhere, and I make little kits with all of them. I have a little bag packed that I can move from backpacks to suitcases for overnight trips. I have a little first-aid kit in my car. I have a little bag of shampoo and makeup samples in my gym bag. 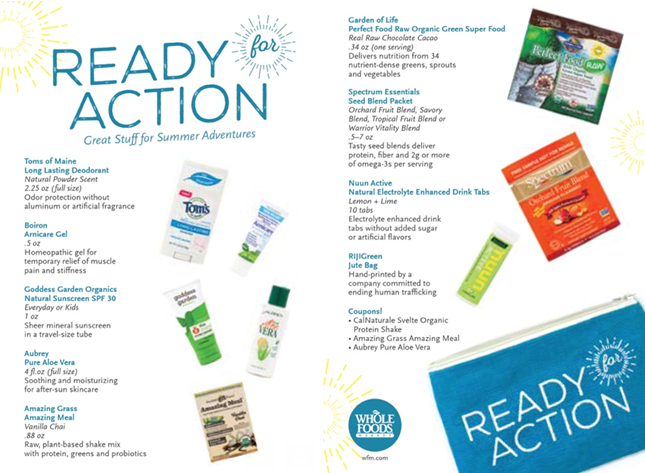 I was super excited to get my hands on Whole Foods Markets' Ready for Action summer survival kits from my local store, Whole Foods Harbor East. Okay, so maybe I can't fit all that in one bag. Oops. 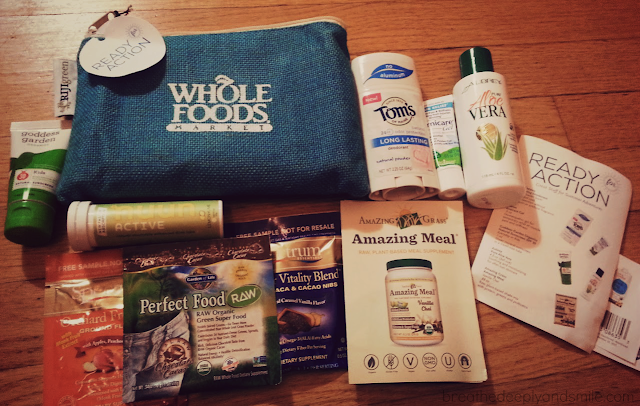 You get some full size products which is awesome, and the whole bag is valued at $50. I love that Nuun Active Lemon-Lime is included! 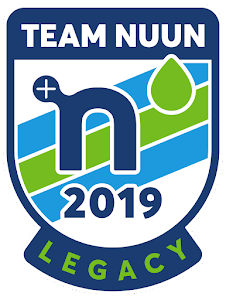 Of course that is already one of my stand-by hydration flavors and is great mixed with some lemonade in the summer #teamnuun. I also was really excited to see an option for a natural sunscreen because I have been trying to buy more natural brands and haven't found one I liked yet. 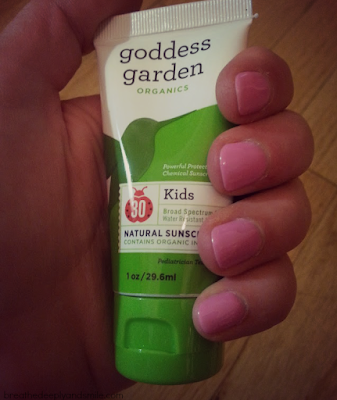 I found the Goddess Garden Organic sunscreen to be a lot thicker than I was used to so it took a lot of rubbing in. It did the job and was gentle on my face and shoulders. I also really liked having the vanilla chai Amazing Grass protein shake after a run blended with some cashew milk, ice,cinnamon and a frozen banana. The bag itself is not only super cute but also is hand-printed by RIJI Green, a company committed to ending human trafficking! You can grab one of these bags for only $12 at your local Whole Foods Market U.S. Store on Saturday, June 27 at 10 AM. I would't wait much longer past then because supplies are limited! What is something on your summer survival list? 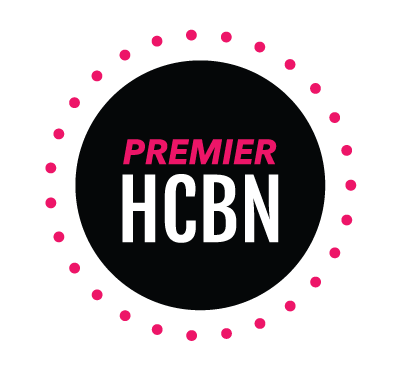 Well, Fitbloggin' is in 3 days and I'm BEYOND excited. If you're going be sure to come say hello, and if you're not follow me on Twitter and Facebook and see what I'll be up to all weekend! 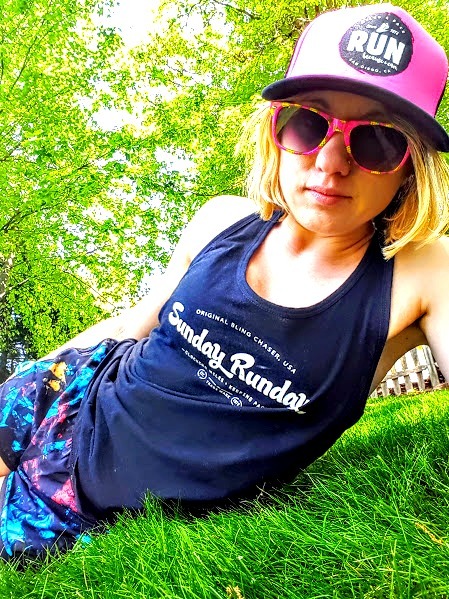 This weekend was my first long run of marathon training! After I get back from Fitbloggin' I'll start with the regular weekly training updates on the road to the Chicago Marathon. My runs went well this weekend, especially since it was closer than it had been during the week. Getting used to the summer weather is no joke. I read this article in the Washington Post about how your body reacts to the heat. I highly recommend checking it out. Did you know it actually takes 2 weeks to acclimated to the heat? 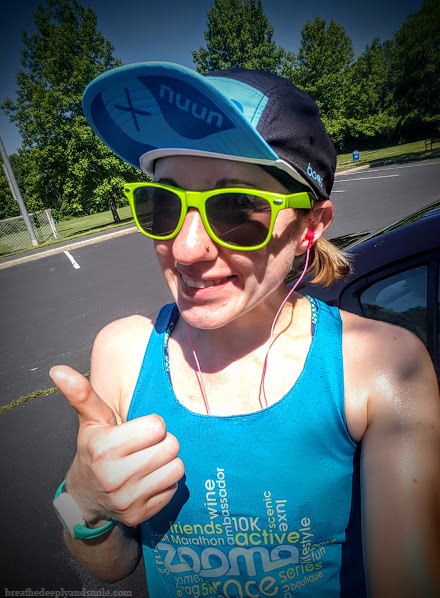 I know I had some tough runs where even an easier pace felt awfully hard because of the temperature and humidity so don't be discouraged! 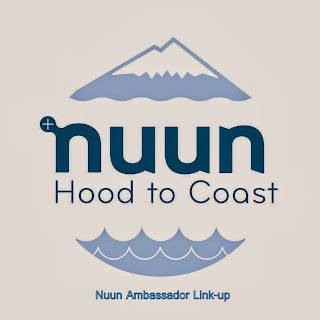 Besides training for a marathon all summer, I'm also running the Hood to Coast relay with the Nuun team in August. You bet 3 outdoor runs in 24 hours will probably include at least one that is super hot, so training in the heat will leave me well-prepared! 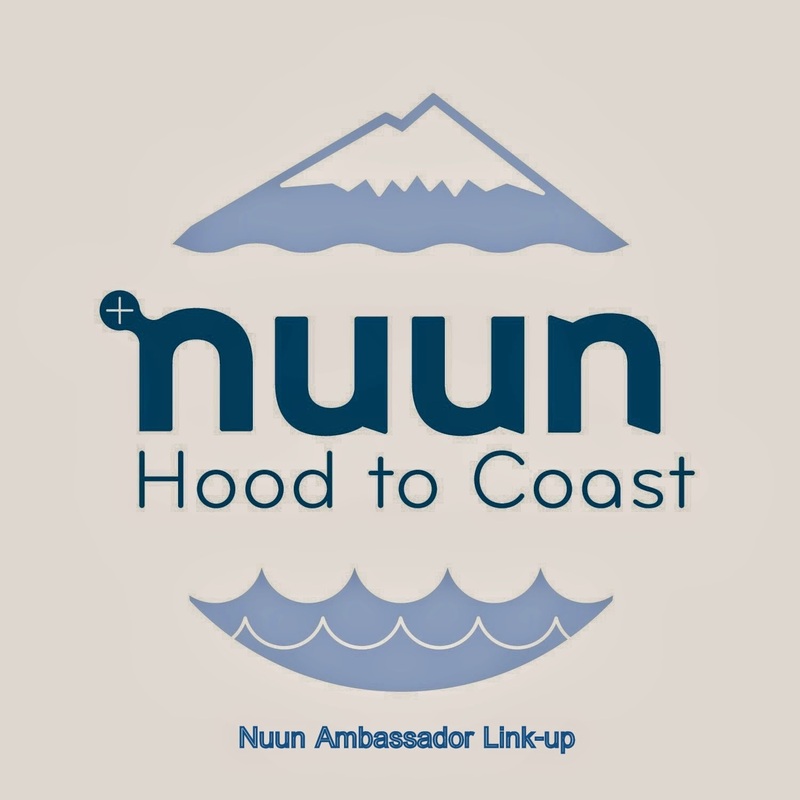 I'm linking up with some other Hood to Coast Nuunies today so check out some other awesome blog posts! At least here in the Northeast, we have been getting a taste of the hot and humid weather to come. 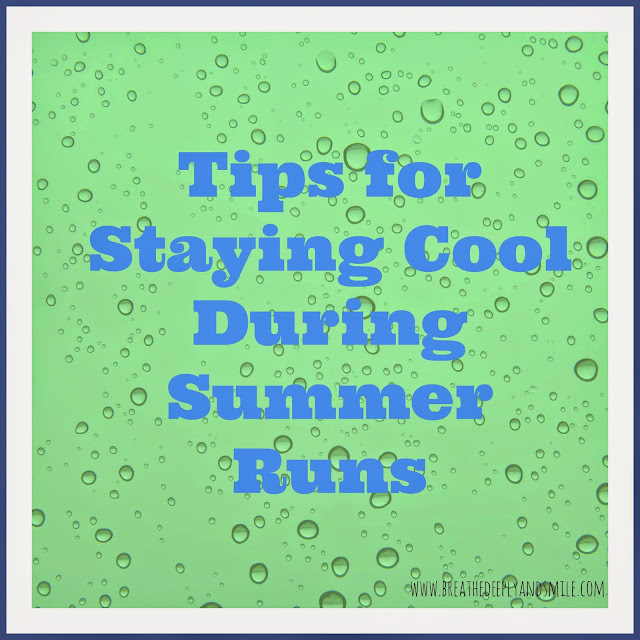 I definitely notice a difference in my runs and how I feel as the weather heats up. 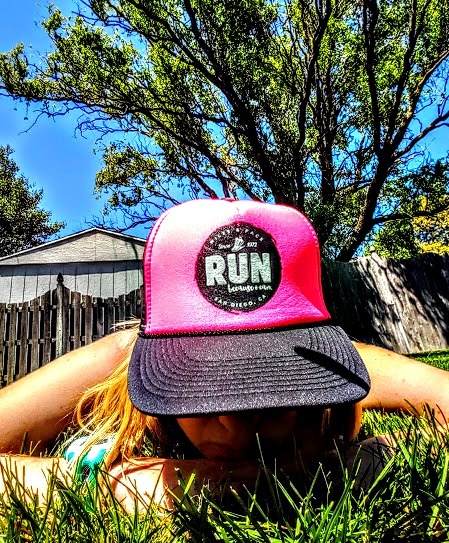 It’s important to tweak some things with the changing of the seasons so you can keep logging miles all summer. Here are a few summer running tips that I use to stay cool.